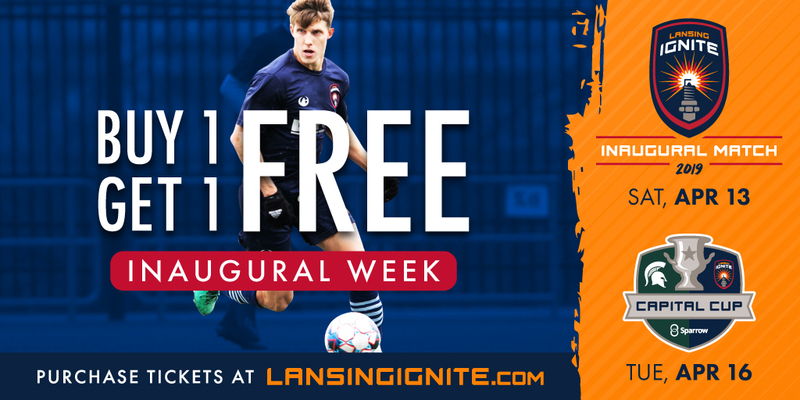 Ahead of the team's inaugural week of action at Cooley Law School Stadium, Lansing Ignite FC has unveiled a special Buy One, Get One (BOGO) deal for the club's first two matches at home. Fans who purchase one ticket for the team's first game at Cooley Law School Stadium on April 13 against the Richmond Kickers will get one free ticket in the corner box seats for the match against Michigan State in the Capital Cup, presented by Sparrow. The free ticket for April 16 will be selected for you, based on availability, and in the best available corner box seating. Thousands of tickets have already been sold for the team’s inaugural match, with Section A and Section B of the Midfield Box Seats sold out and limited availability in Section Q of the Goal Line Box Seats. 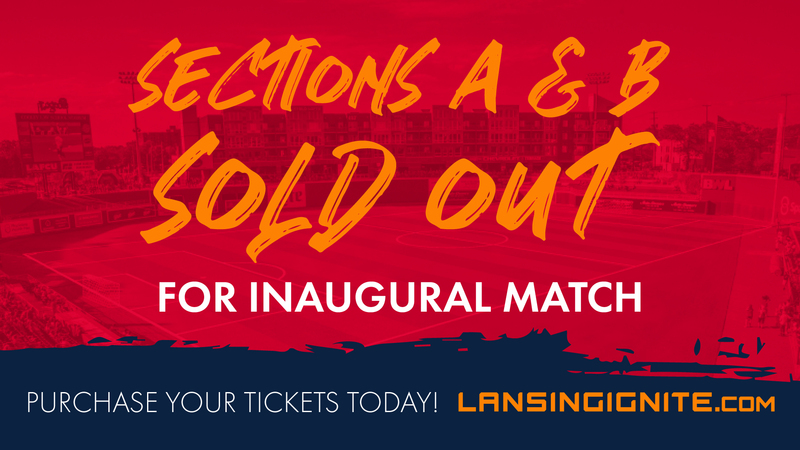 Fans can secure tickets to the first home match using the link above, at the Cooley Law School Stadium Box Office, located at 505 E Michigan Ave., or over the phone at 517-580-5432.